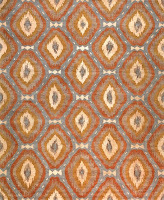 News from Kush Rugs and carpets in Portland Oregon. Interior Design. Rugs in situ. Events, new designs, & shipments. The Chroma collection is a whimsical combination of wool and silk in cut & looped pile. Unlike most Tibetan carpets, each piece from the Chroma collection is one of a kind. The looped pile provides a beautiful accent that gives each carpet added visual depth. The weavers of the Chroma Collection decide when to switch yarns, combining a stunning array of colors that cannot be replicated. Fine Bamyan in gorgeous traditional dining room setting. Muted Mamluk in formal entryway. Have you ever walked across a diamond? 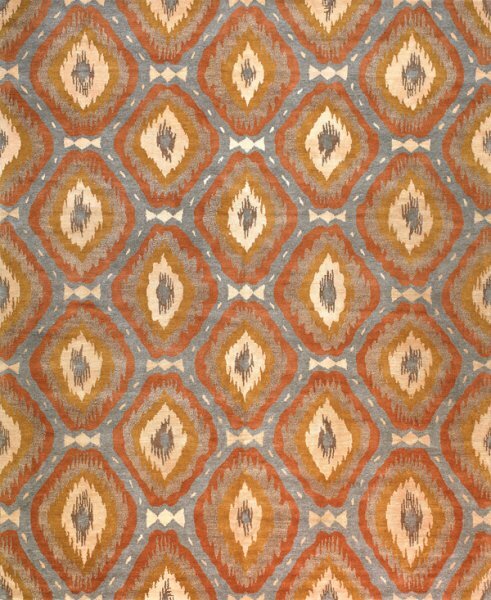 Just in time to chase away the winter grey, the Gem Rug Collection has arrived at Kush. Much like the crown jewels, these unusually shaped pieces have caused quite a stir in Portland's Pearl District. The rugs may be ordered in any size, 5'x5' and larger and may be custom colored. You may peruse more of the collection here. Food and drinks will be provided. We look forward to connecting with our friends and colleagues in the design community.